"He had “sunshine in his pocket” the whole time." In case you missed the news... Justin Timberlake was in Charlotte, NC for his Man of the Woods stadium tour this week. Days before the concert, the "Cry Me a River" singer was spotted in several Charlotte establishments including a local BBQ joint and Top Golf. Timberlake also took the time to meet with the parents of a young boy who died back in 2017. 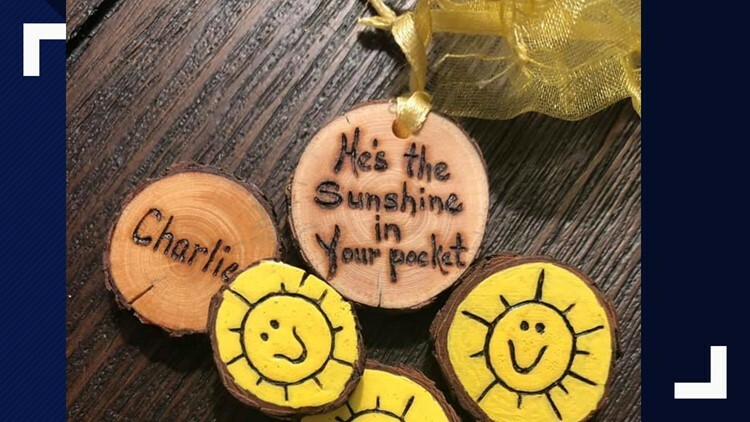 Charlie's parents told NBC Charlotte that through his manager, Timberlake received a wooden sunshine chip from their foundation. The same one they always carry with them to remember their son. That's when Timberlake asked to meet with the two after the show. Charlie’s death gave birth to a movement, Charlie’s Heart Foundation. The mission is to enhance the lives of children and families in need through financial and health education. It’s taking the Holt family all over the world. Timberlake spoke with Charlie's family about clean water and families living in extreme poverty. "But most of all, we shared stories of life and parenthood, Charlie's Heart Foundation wrote on Facebook. "Charlie no doubt was shining down on us, spreading his unconditional love for others." Charlie's favorite song was Justin Timberlake’s 'Can’t Stop The Feeling'. "He would jam out to this song all the time,” Rebecca and Michael Holt smiled.